Join Us on October 26th For Our Ultherapy Event! Join Us on October 26th For Our Ultherapy® Event! 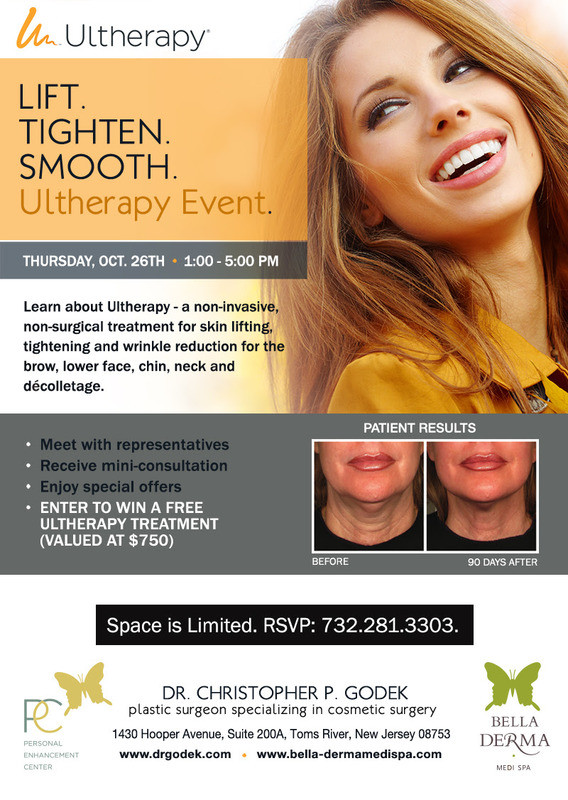 Lift, tighten, and smooth at our Ultherapy® event on Thursday, October 26 from 1:00pm to 5:00pm. Learn about Ultherapy® – a non-invasive, non-surgical treatment for skin lifting, tightening, and wrinkle reduction for the brow, lower face, chin, neck, and décolletage. At the event, meet with representatives, receive a mini-consultation, enjoy special offers, and enter to win a free Ultherapy® treatment! Contact us today to reserve your spot as space is limited.